4. Reduce the generation of moisture inside the building. Exhaust moisture from showers and clothes dryers. 5. Keep the heat from coming into the building. Insulate and ventilate attic spaces. Caulk and weather strip to keep warm air out. Install translucent shades under skylights. When replacing windows, order “Low E” double glazing. Keep the condenser out of direct sunlight; install on shady side of building. Make certain that the large freon pipe outside is insulated. Have a technician check for proper charge of refrigerant. Cool with outdoor air when possible. 8. Instead of cooling the air, move it with fans. Open windows for cross ventilation. Install ceiling fans for summer use only. Use a small personal fan by your desk. When cooling loads are low, raise leaving chilled water temperature manually or automatically. If you have more than one chiller, match the chillers to the load by using the proper sequence of operation. Install smaller lead chillers. Interconnect partially-loaded chilled water systems to more fully load them. Maintain water quality; remove bacterial slime and algae. Keep filters and coils clean. Check cooling ductwork for crimps and disconnected sections. Do not obstruct the supply of cool air with furniture, draperies, etc. Seal leaks in cooling ductwork. Limit the outside air flowing into central air systems. Open dampers to balance flow of air among various rooms. Isolate cooled areas by closing doors to non-cooled areas. Insulate cooling ducts running through areas that are not cooled. Raise the air temperature, if possible. Do not air condition unoccupied areas. Rethink heavy clergy and choir robes. Natural fabrics often feel cooler than synthetics. Re-arrange working schedule to cooler times. Turn off air conditioning hour before leaving. Open the shades and drapes at night to increase heat loss. Perform active work during the cooler times of the day. 13. Cook with minimal heat. Lower gas pilot lights to minimum heights. Cook with the microwave, rather than the range or oven. Exhaust moisture from boiling water and cooking. Drink and eat cool substances — iced beverages and salads. Avoid caffeinated, alcoholic and hot beverages. Exhaust the heat from refrigeration condensing coils. Cover pots on the stove to minimize cooking time and evaporation. Cool dishes outside, or in areas that do not have air conditioning. Thaw frozen foods inside the refrigerator or inside air conditioned spaces. Bake or broil several items at a time. Preheat ovens only as much as necessary. Turn off the oven a few minutes before the required time. Minimize the use of self-cleaning on hot days. 14. Buy efficient cooling equipment. Get high EER for replacement window air units. Install window units to cool occupied rooms within large, unoccupied zones served by central cooling systems. 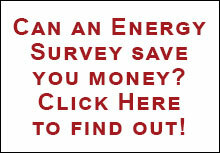 For additional information on ways to reduce your energy costs, contact the Interfaith Coalition on Energy.